Kimball O'Hara is an agent with British Intelligence. Kim, as he is known to most since he has no real use of his full name for most of his life, was born in India to an Irish soldier and an Irish mother living in India. Both spent their adult lives in poverty and that is all that Kim throughout his childhood. Both parents died when Kim was young and the lad was forced to eke out a survival by begging and running errands for whomever would toss him a coin. He also became quite good as a con man using his natural talents and hard learned experiences to glibly coerce what he needed from strangers and friends. Though he was of Irish descent, his years on the streets of Lahore, India under the harsh sun turned his complexion to a deep tan making him able to pass as Indian when it suited him. He was a handsome lad with a quick smile and a gleam in his eye that enchanted people. He also possessed a kind heart which was often put to a test when compassion collided with existance. The chapters in the one book, told initially in 11 serial segments, depict the life of a boy growing to manhood and his deep friendship with a Tibetan lama seeking enlightenment. It also tells of Kim's adventures in the "Great Game" as the espionage business is called in the days when Russia and Britain fought their own version of a Cold War seeking dominance in the India subcontinent. Kim did not choose to become a spy but his years on the streets taught him well how to make the best of any situation and that skill would get him noticed by those always on the lookout for a potential agent. Originally told as a serial consisting of 11 parts (although there were 15 chapters in the book) in McClure's Magazine (Dec 1900 - Oct 1901) as well as Cassell's Magazine (Jan 1901 to Nov 1901) before being published as a single volume in October of 1901. 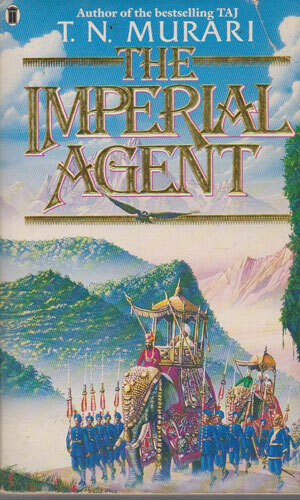 The story of a young British street urchin in India who undertakes a strange journey with a Tibetan lama and who also plays his part in the "Great Game" as espionage was being called. 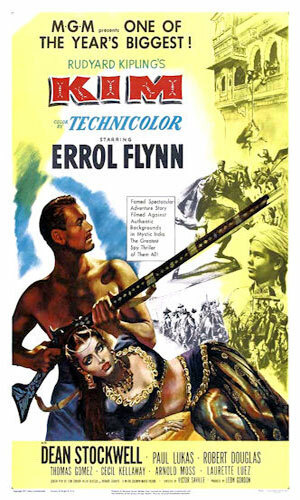 A major movie rendition of the novel. 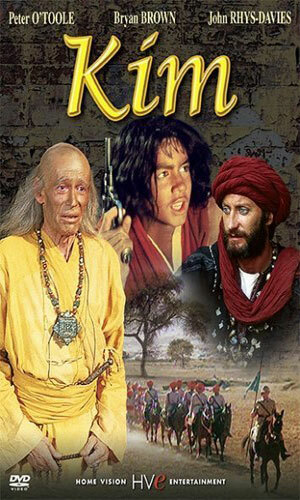 A made-for-television movie rendition of the novel. Season 2, Episode 2 of Shirley Temple's Storybook on NBC was a 1-hour interpretation of the novel. Coming out in the Winter 1969 issue of Classics Illustrated #143, it tells the story of Kim in graphic format. 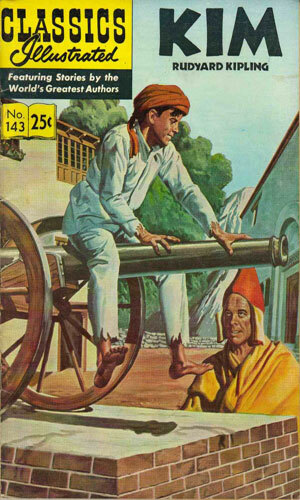 Eighty years after Kim saw print, an Indian author of some acclaim decided to add his imprint to the saga and wrote two novels concerning the character and following the events of the original. They are mentioned here not as an endorsement for I have not read them but because they exist. A pastiche continuation of the Kim saga. Kim is now in his 30s. 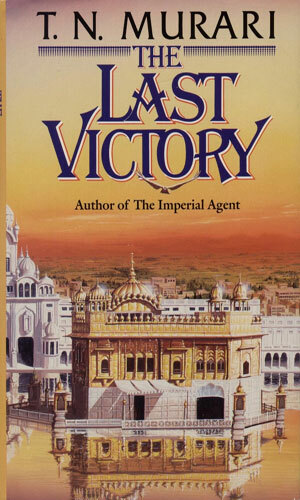 Working for British Intelligence in India he learns of a plot to kill the visiting Prince George and he further learns that the man behind the assassination attempt is his old mentor. A pastiche continuation of the Kim saga and a sequel to The Imperial Agent. Kim's India is involved as every other country is in World War I but he is also concerned with his lady love and their struggle to survive when others are out to kill him and capture her. When I was 16 I read Kim for the first time. I understood quite a bit of it and was totally snowed under by quite a bit as well. I read it because I was trying to be more "educated" in my reading. After a couple of years of Doc Savage and the Shadow and Tarzan, I wanted to "grow up" in my reading. I first went after Robinson Crusoe and The Count of Monte Cristo and others. 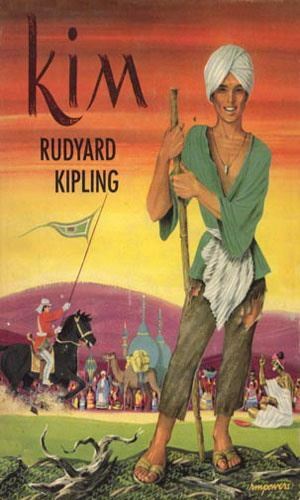 I then tackled this book as well as others like Mutiny on the Bounty and The Grapes of Wrath. Many I enjoyed and many I just put down and shook my head in puzzlement. I next tackled Kim as a 30-year old and I got a whole lot more out of it. I also still had sections I scratched my head over. I also read the Classics Illustrated version of it and enjoyed that but there were huge sections (obviously) in the book not found in the comic. I decided to include this book in the compendium because of its great importance to spy series - to spy novels as a whole. I use as justification for a single book being in a fan site about spy series by the fact that it was originally released as a series of chapters and only subsequently as a collection. But that is just an "excuse". The "reason" is that it deserves mention.